General visual inspection of interior and exterior home and property. General security checks of garage and all house doors, windows and locks. General check for water leaks or storm or animal damage. Check the water heater for proper setting and pilot light (if accessible). Check faucets for frozen pipes. Check telephone line for alarm transmission availability and ensure the gatehouse is receiving the alarm signals from the residence. Pre- and post-inspections following significant events caused by man or Mother Nature. House Key Management – secure safe storage of house keys for Subscriber. Services include issuing keys to visiting guests, storing a spare key for the home, providing a key to emergency response crews, and providing access to Subscriber’s agents and contractors performing work at the home. With the exception of providing keys to emergency response crews (police, fire, medical, etc. ), the Association will not provide keys except to Subscriber and recipients authorized by Subscriber in writing. Subscriber agrees to allow the association to install a key lockbox in the trash room of the home which will have a 4-digit code to store a backup key for the home. This will be for security staff only, but code can be provided to the homeowner when needed. Any services under the House Key Management program must be approved in signed instructions to be delivered to the Association by Subscriber. The Association will facilitate access to Subscriber’s vendors/repairmen/contractors upon the written request of Subscriber. Association staff will not stay with the person but will return to the home, conduct an inspection and secure the home after the person checks out at the Gatehouse. Prepare home for Subscriber or guest arrival and inspect home after departure to secure locks or to turn off heat, water or lights (upon Subscriber’s request). Notify Subscriber (or police or fire, if appropriate) of above failures, if any, for follow up instructions (e.g., containing a water leak, detailing storm damage, etc.). Perform special instructions requested by Subscriber and agreed upon by Association in writing, if any. Either party may cancel the Agreement with 30-day written notice to the other party with or without cause. 1. Subscriber agrees to pay the Association the sum per month that is associated with the size of their home (pro-rated for any portion of a month in which service is provided) for the services provided by the Association pursuant to this Agreement. The monthly fee payable to the Association shall be paid by Subscriber quarterly on the first day of each quarter and, at Association’s option, such charges may be included in the Subscriber’s quarterly assessment statement from the Association. By definition a "Cabin" is a home with 3499 square feet or less and only one building. The monthly bundle fee for a "Cabin" is $110. An "Estate" is defined as 3500 square feet or larger. The monthly fee for an "Estate" is $135. 2. If Subscriber fails to pay any amount within thirty (30) days after its due date, fails to perform any of Subscriber’s other obligations under this Agreement, or fails to maintain its membership in good standing with the Association (including, without limitation, paying all Association assessments on a timely basis), Subscriber shall be in default under this Agreement, and the Association may, at its option, take any or all of the following actions: (i) terminate this Agreement by written notice to Subscriber in which event the termination shall be effective immediately and shall not be subject to the thirty (30) day notice provision set forth above; or (ii) pursue any right or remedy available to the Association at law or in equity as a result of the Subscriber’s breach of this Agreement. Subscriber agrees that any amounts which become due and payable to the Association pursuant to this Agreement shall be secured by the lien power granted to the Association under the Declaration of Covenants, Conditions and Restrictions for Martis Camp (the “CC&Rs”), as amended, and shall be subject to the assessment of late charges, interest, attorneys’ fees and collection costs to the same extent and in the same manner as if such amounts were levied by the Association as assessments under the CC&Rs. 3. Subscriber acknowledges that the Association is providing a general and cursory visual inspection service on a weekly basis and is not an insurer, guarantor, or guardian of Subscriber’s property, person, or possessions. Subscriber authorizes the Association to act as agent in Subscriber’s absence to use its best efforts to obtain emergency repairs and services, for which Subscriber is responsible. The Association must agree to act as agent in such instance. Subscriber assumes responsibility for adequately insuring the property, house and garage and contents for damages and losses and other liabilities which may be incurred as a result of fire, theft, vandalism, flooding, snow, freezing, wind, or other similar events or occurrences. Subscriber must maintain snow removal to facilitate inspection. If subscriber fails to maintain snow removal the Association will not be able to conduct inspections per this contract. 4. Subscriber acknowledges and agrees that the amounts payable by Subscriber under this Agreement are based upon the cost of the services offered and not the value of Subscriber’s interest being protected or the value of the property or persons located on Subscriber’s homesite. Subscriber further acknowledges and agrees that the Association makes no representation, express or implied, that the services to be provided by the Association pursuant to this Agreement will prevent any loss or damage to Subscriber’s property in Martis Camp or lessen or prevent any personal injury (including death). Subscriber agrees to give written notice to the Association within thirty (30) days following the date of any occurrence which may give rise to a claim or potential claim by Subscriber against the Association arising out of or relating to this Agreement or the Association’s performance or nonperformance of its obligations under this Agreement. Such notice shall contain information as to the time, place, nature and extent of the claim. Subscriber further agrees that no action, suit or proceeding to recover for any claim or potential claim arising out of or relating to this Agreement or the Association’s performance on nonperformance of its obligations under this Agreement shall be brought against the Association by Subscriber unless (i) written notice of the claim was given to the Association in the manner and within the time provided for this Agreement, and (ii) such action, suit or proceeding is instituted within twelve (12) months following the date of the occurrence giving rise to such claim. Time is of the essence for this paragraph. 5. Association and Subscriber acknowledge and agree that it would be impractical and extremely difficult to fix the actual damage, if any, that may result from the performance or nonperformance by the Association of its obligations to Subscriber under this Agreement because of, among other things: (i) the uncertain amount of the value of Subscriber’s property or the property of others kept on Subscriber’s homesite which may be lost, stolen, destroyed, damaged or otherwise affected by the occurrences which the alarm monitoring system is designed to detect or advert; (ii) the uncertainty of the response time of any emergency response (e.g., police, fire, medical, etc.) or other authorities or agencies; (iii) the difficult in ascertaining what portion, if any, of any loss would be proximately caused by the Association’s failure to perform its obligations under this Agreement; and (iv) the nature of the services to be performed by the Association pursuant to this Agreement. Accordingly, Subscriber and Association acknowledge and agree that in the event of any breach of this Agreement by the Association or any negligence or gross negligence by the Association in the performance of the services under this Agreement, Subscriber’s sole and exclusive remedy shall be to receive payment from the Association of a sum equal to the total of six (6) monthly payments payable by Subscriber to the Association, as liquidated damages (agreed damages) and not as a penalty, which amount the Association and Subscriber agree is a reasonable estimate of the loss or damage that would be sustained by Subscriber as a result of any negligence, gross negligence, breach of contract, or nonperformance by the Association. 6. Subscriber shall be solely responsible for providing the telephone lines, electrical power supply, alarm system hardware and installation in Subscriber’s residence, hardware maintenance and hook up to the Association’s alarm monitoring system, including, without limitation, all maintenance, upgrade, repair or changes to the alarm system, at no cost or expense to the Association. The Association shall not be obligated to perform any alarm monitoring service during any time when Subscriber’s telephone equipment, electrical service, or alarm hardware is not working since these are all necessary to the proper functioning of the alarm system. The Association shall not be liable for any loss or damage caused by any defects, deficiencies or malfunctions of the alarm system, telephone lines, or electrical supply, including, without limitation, any loss or damage caused by or related to Association-conducted alarm testing. The subscriber will notify the Gatehouse prior to performing any testing of the alarm monitoring system. Association agrees to perform weekly alarm monitoring system tests and to report the results of the test to Subscriber. Subscriber agrees to allow the association to install a key lockbox in the trash room of the home which will have a 4-digit code to store a backup key for the home. This will be for security staff only code, but can be provided to the homeowner when needed. During winter months the Subscriber must maintain snow removal to allow monitoring personnel access to the residence. If snow removal is not done, the Association will not be responsible for weekly testing or system resets due to false alarms. Subscriber acknowledges and agrees that the Association shall not be liable for any charges or fees incurred because of false alarms. Association agrees that it will reset or clear the alarm system triggered by false alarms upon Subscriber’s request. 7. The Association shall monitor signals received through the alarm monitoring system on a 24-hour-a-day, 365 days-a-year basis. Upon receipt of an alarm signal from Subscriber’s residence, the Association shall respond to the residence in strictly an “observe-and-report” capacity. The Association shall also make reasonable efforts to transmit notification of the alarm signal promptly to the police (sheriff’s office), fire protection, medical or other appropriate authorities and/or the person or persons whose names and telephone numbers are set forth in Subscriber’s written instructions to the Association unless there is reasonable cause to believe that the emergency condition does not exist. The Association shall not undertake any further law enforcement or response action at the Subscriber’s property other than observing and reporting, provided, however, that Association may (but shall not be obligated to) undertake a more investigative course of action for medical, fire protection, or other such alarms (not police), including, without limitation, entering the home to assist the homeowner or emergency response personnel. Subscriber agrees the Association shall not be liable for any loss or damage caused by its failure to respond or the quality or nature of its response; the Association shall further not be liable for any delay in response time or the failure of police, fire or other authorities or individuals notified by the Association to timely or adequately respond to the alarm. 8. Subscriber agrees that the Association’s sole obligation under this Agreement is to monitor alarm signals and to respond thereto as set forth in Paragraph 3 of this Agreement. Subscriber acknowledges and agrees that the Association is not an insurer, guarantor, or guardian of Subscriber’s real property, home, person or personal property and that the amounts payable by Subscriber under this Agreement are based upon the cost of the services offered and not the value of Subscriber’s interest being protected or the property of Subscriber or others located on Subscriber’s homesite. Subscriber further acknowledges and agrees that the Association makes no representation, express or implied, that the services to be provided by the Association pursuant to this Agreement will prevent any loss or damage to Subscriber’s property in Martis Camp or lessen or prevent any personal injury (including death). Subscriber agrees to give written notice to the Association within thirty (30) days following the date of any occurrence which may give rise to a claim or potential claim by Subscriber against the Association arising out of or relating to this Agreement or the Association’s performance or nonperformance of its obligations under this Agreement. Such notice shall contain information as to the time, place, nature and extent of the claim. Subscriber further agrees that no action, suit or proceeding to recover for any claim or potential claim arising out of or relating to this Agreement or the Association’s performance on nonperformance of its obligations under this Agreement shall be brought against the Association by Subscriber unless (i) written notice of the claim was given to the Association in the manner and within the time provided for this Agreement and (ii) such action, suit or proceeding is instituted within twelve (12) months following the date of the occurrence giving rise to such claim. Time is of the essence for this paragraph. 9. Subscriber agrees to release, defend, indemnify and hold the Association, Martis Camp Club, and their directors, officers, employees, managers, agents and contractors harmless for, from and against any and all claims, demands, liabilities, lawsuits, losses, damages, attorney’s fees, costs or expenses arising from or related to any act or omission of the Association pertaining to the performance or nonperformance by the Association of its obligations or services under this Agreement, including, without limitation, Subscriber’s insurance or bonding companies’ claims or losses, damage or loss to Subscriber’s property, and any personal injury (including, without limitation, death), suffered at Subscriber’s property. 10. In the event of any legal action or proceeding between Subscriber and the Association arising out of this Agreement, the non-prevailing party in such action or proceeding shall be liable to the prevailing party for all reasonable attorneys’ fees incurred by the prevailing party in the action or proceeding. This Agreement constitutes the entire agreement and understanding of the Subscriber and the Association with respect to the subject matter of this Agreement, and no prior agreements, representations, inducements or promises with respect thereto shall be binding or be of any force and effect. This Agreement may only be modified or amended by a written instrument signed by both the Association and the Subscriber, any attempted oral modification of this Agreement shall be void and of no effect. This Agreement shall be governed, interpreted and enforced in accordance with the laws of the State of California, with venue in Placer County. Each remedy provided to the Association under this Agreement shall be cumulative and shall be in addition to every other remedy in this Agreement or now or hereafter existing at law or in equity. The election of any one or more remedies shall not constitute a waiver of the right of the Association to pursue other remedies available under this Agreement or at law or in equity. Subscriber acknowledges that the Association may record wire and oral communications made in connection with this Agreement and hereby consents and authorizes the Association to so record all such communications between the Association and Subscriber and/or Subscriber’s agents, employees, guests and representatives. Any notices or instructions required or permitted under this Agreement shall be given in writing and personally delivered or sent by registered or certified mail, return receipt requested, postage prepaid, or by a nationally recognized overnight courier service. Any notice to the Association shall be addressed to the Association at 7951 Fleur Du Lac Dr., Truckee, CA 96161. 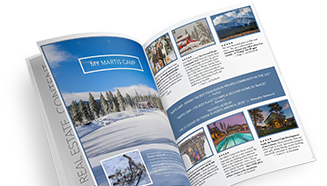 Any notice to the Subscriber shall be addressed at the mailing address of the Subscriber’s home site in Martis Camp or to such other address as the Subscriber may designate in writing to the Association. What is your prefered entrance? The preferred entrance for the gatehouse staff is through the garage to avoid wear and tear on the keys and doors. No, the system is not set up yet. Can you help with this? No, the system is not set up yet. We wil have our builder or alarm tech contact you. No, we do not know our alarm info yet. Alarm Monitoring Service: Name & number to monitoring station and password that must be given to them if they call the gatehouse. If you have an outside monitoring service, you can have that company call the gatehouse to respond first versus an emergency service if you are signed up for "Alarm Monitoring & Response" through the gatehouse. This helps with emergency services responding to false alarms. We can not respond to any alarms unless we have an "Alarm Monitoring & Response" agreement on file for liability purposes. Alarm monitoring is NOT included with house watch. YesNo, I will contact the concierge at 530-550-6010 to get this started. This is required in order to receive any packages through USPS. USPS is the primary delivery provider for Amazon. I am not sure, will get this information at a later time. This is required as per the CC&R's for Martis Camp. The HOA only provides snow service for the public roads. They do not clear snow or berms in driveways, this is the responsibility of the owner. We normally do a walkthrough with the owner and/or builder to go over Utility Shut Offs and also answer any questions or specifics about the home. I have read this contract and agree to the terms and conditions and the information I have entered is correct. By selecting the "I Accept" button, you are signing this agreement electronically and agreeing to this contract.